This is a Sample. It is dated 1997 and we acquired it in 2011. Its medium is cotton and its technique is plain-weave derived compound weave. It is a part of the Textiles department. Since the early 1980s, Jhane Barnes has been interested in the use of mathematics in the development of textile designs—especially fractals, which are visually complex, mathematically-generated patterns that are similar but non-repeating. Over the years, she has collaborated with Syracuse University mathematician, William Jones, and software designer, Dana Cartwright, to enhance WeaveMaker software with algebraic and algorithmic pattern generation capabilities. 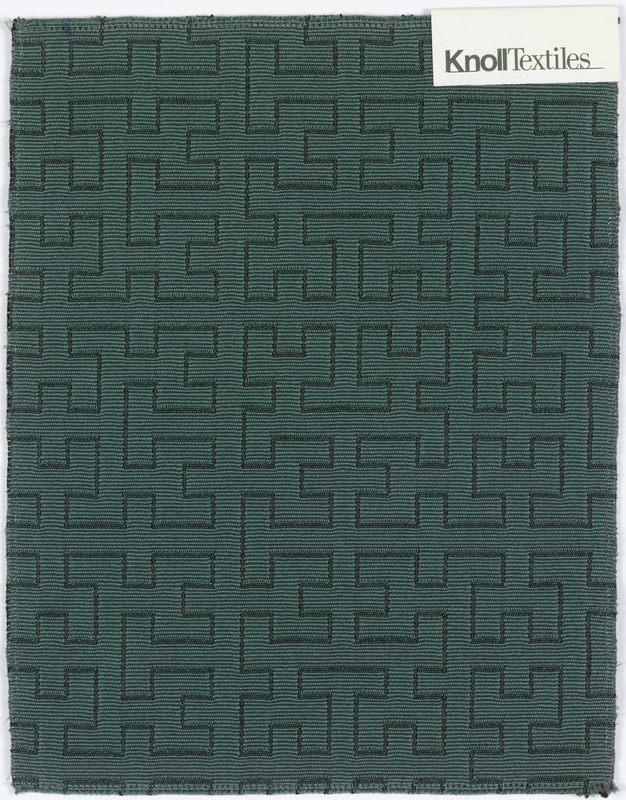 Hilbert, named for mathematician David Hilbert (1862–1943), is part of her Square Root Collection and was designed to coordinate with Gordian Knot, which had been introduced a year earlier. Together, Hilbert and Gordian Knot would augment the museum’s existing holdings of textiles and wallpapers by Barnes. This object was donated by Bard Graduate Center for Studies in the Decorative Arts. It is credited Gift of the Bard Graduate Center: Decorative Arts, Design History, Material Culture.